Type a QUANTITY of each Color Choice in the Text Box Below. 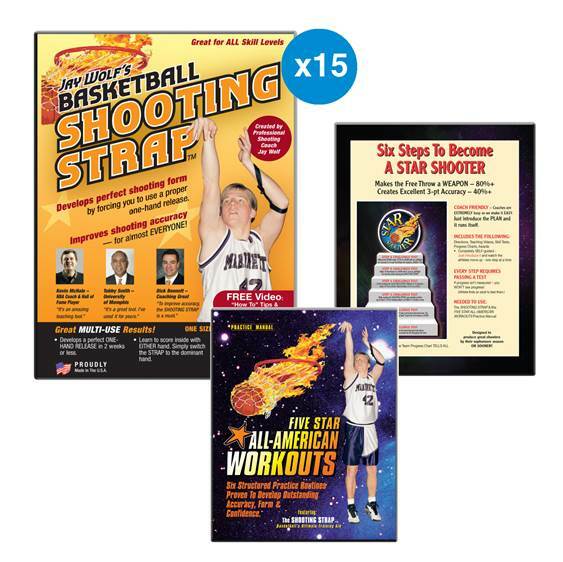 The BEST way to improve your Team’s scoring is by supplying every athlete with their own SHOOTING STRAP. Make sure it is used with BOTH of the above plans – ‘Six Steps’ & ‘FIVE STAR WORKOUTS’. When the STRAP is used regularly, EVERYONE improves their SCORING – GUARANTEED. © 2015 Basketball Star Shooter. All Rights Reserved.